The release of Batman V Superman: Dawn of Justice in theaters has given rise to the ongoing discussion about how the film's critical/commercial reception will impact the direction of the DC Extended Universe hereon out. However, for the next couple of years, the DCEU film slate is pretty much locked into place; what with Suicide Squad well into post-production ahead of its August 2016 release date, Wonder Woman already far along into production ahead of its June 2017 launch date, and Batman V Superman director Zack Snyder gearing up to begin production on Justice League Part One on April 11th, 2016 in order to make a November 2017 release date. Truth be told, of the DCEU films that have official theatrical release dates and/or have been announced, the ones that are most likely to be impacted are the future superhero solo films featuring Ben Affleck as Batman and Henry Cavill as Superman, respectively. The positive reception to Affleck's performance as an older Bruce Wayne/Caped Crusader in Batman V Superman has increased the likelihood of Affleck directing his own Batman movie in the foreseeable future - but what about Cavill's second solo movie as the Son of Krypton? "I do believe it depends on the success of this movie. If this goes well then we can start to negotiate with Warner Bros. for a standalone Superman movie. But they've got their plans set out for other stuff and Justice Leagues and various other movies, so it's about finding the time, really. It's something that I would be very keen to do." "We're in the process of looking at [a 'Superman' solo film], but we don't have it on the schedule at the moment because we're quite busy with the movies that we have scheduled." Back in 2015, it was rumored that WB/DC has placed the second DCEU Superman solo film (or, if you prefer, Man of Steel 2) on the backburner - partly as a response to Man of Steel's mixed fan/critical reception, but also because the studios were focused on growing the DCEU by introducing more members of the Justice League into the mix. That certainly appears to be the situation now, between the reasons mentioned by Cavill and Roven and the Superman story elements for Batman V Superman being among the film's most widely-criticized aspects (in combination with the public's divided response to Man of Steel in the first place). Indeed, whereas characters like Affleck's Batman and Gal Gadot's Wonder Woman now have more fan support on their sides after Batman V Superman, Cavill's Superman does not - something that won't help speed up progress on his next solo adventure. 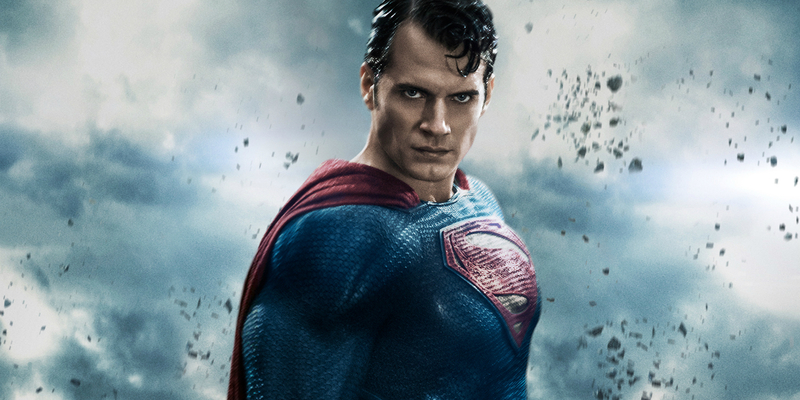 On the other hand, this could ultimately benefit Cavill's term playing the Man of Steel. It's safe to assume the character will be "reborn" in Justice League Part One following his "death" at the hands of Doomsday in Batman V Superman, at which point Cavill's Superman will also have a chance to be "reborn" in other ways. To clarify: the initial Justice League film will allow Cavill's version of Superman an opportunity to evolve in ways that he didn't in Batman V Superman; and if that new version of Superman goes over well, then it may help to get another solo film for the character back on track and moving forward, most likely under the direction of someone who isn't Zack Snyder, too. Plus, by that point, Cavill's reborn Superman may've appeared in two Justice League movies, paving the way for the character's second solo film to explore different story territory (read: an older Man of Steel) than it might've had it been produced at an earlier time. To sum it all up: if Batman V Superman does, in fact, impact the solo Superman film, it will likely cause the latter to be further delayed - which, as mentioned, might not be a bad thing. In the meantime, the DCEU looks to keep on moving forward full speed ahead, with characters such as Aquaman, The Flash, Cyborg, and eventually the Green Lantern Corps getting their own long-awaited solo movies in between their team-ups with DC's Trinity of Batman, Superman, and Wonder Woman. We'll let you know if that plans changes, of course.